James Goodwyn’s new book “Lonnie” is a witty and electrifying work that asks the question, can people survive the inner city streets? Recent release “Lonnie” from Page Publishing author James Goodwyn entices the senses and grips the imagination following Lonnie on his journey to success on the streets. 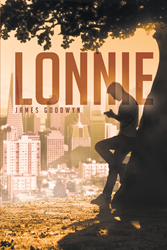 James Goodwyn, a devoted writer and author, has completed his new book “Lonnie”: a gripping and potent work that shows how one man survived the streets and made himself. Or did he? Growing up in the inner city of Dallas, Texas, James Goodwyn had his share of the hustle and bustle of the city streets. He attended schools with low funding, and mediocre lesson planning as well. With the lack of institutional motivation being prevalent, he did what millions and millions of other inner city youths do; he hit the streets for survival. However, James always desired to be different. He never completely succumbed to the grungy place in which he resided and always looked for a way out. Although it was an enormous task, James managed to graduate and attend a Junior College out of the city limits and there he discovered his love for writing and after reestablishing himself, interiorly and exteriorly, he was able to bring forth his very first publication. Published by New York City-based Page Publishing, James Goodwyn’s audacious tale is of a man that swings from one end of the pendulum to the other. Will Lonnie be able to hold on to everything he has worked for? Growing up in a small town proved to be less challenging for a young and adventurous guy name Lonnie! His wit and bravado was conspicuously caged by his immediate environment, and after causing havoc to the town and his religious and caring mother , Lonnie decided take his father up on his constant offer and head east to the big city to join him. The big city proved to be everything Lonnie expected and more! He and the city streets joined together as one, which inevitably led Lonnie to the success that he desperately desired. He now had money, friends and a special young woman in his life that wasn’t paralleled by any other. However, like anything else, the success came with consequences and Lonnie swiftly learned that no matter how fast you rise, one can fall just as quick. Readers who wish to experience this sensational work can purchase“Lonnie” at bookstores everywhere, or online at the Apple iTunes store, Amazon, Google Play or Barnes and Noble.